If you’re thinking of buying a home in Telford but not sure how much it will cost, then you’ve come to the right place. 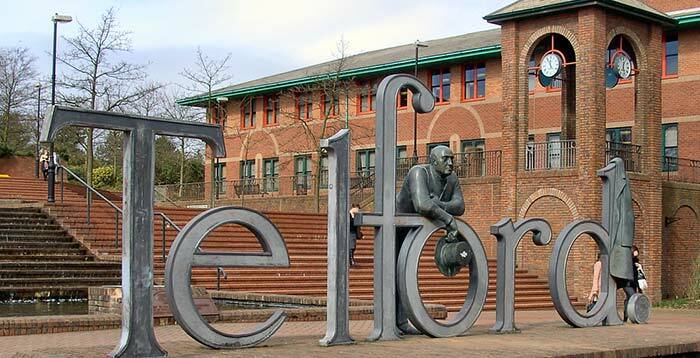 Telford is a buzzing place with a lively range of attractions families. Telford has a full range of property types, from small flats to larger properties that have been bought and resold over the last 25 years or so. Telford also has a very active house building program, so rent or buy, you will be sure to find something to suit your needs with Love Your Postcode Estate Agents In Telford. The town is named after civil engineer Thomas Telford, who engineered many road and rail projects in Shropshire. Telford was put together in the 1960s and 1970s as a new town on previously industrial and agricultural land. Like other planned towns of the era, Telford was created from the merger of other, smaller settlements, most notably the towns of Wellington, Oakengates, Madeley and Dawley. Many of the new town’s newer inhabitants were originally from Birmingham or Wolverhampton. Telford is a large new town in the borough of Telford and Wrekin in the ceremonial county of Shropshire, England, about 13 miles (21 km) east of Shrewsbury, and 30 miles (48 km) northwest of Birmingham. What’s the average house price in Telford? The average price for property in Telford stood at £174,562 in May 2018. This is a rise of 2.01% in the last three months (since February 2018) and rise of 3.21% since 12 months ago. In terms of property types, flats in Telford sold for an average of £97,951 and terraced houses for £121,398. This is according to the current Zoopla estimates. The majority of sales in Telford during the last year were semi-detached properties, selling for an average price of £143,393. Detached properties sold for an average of £240,355, with terraced properties fetching £124,900. Telford, with an overall average price of £167,752, was similar in terms of sold prices to nearby Leegomery (£175,641) and Wellington (£163,257) but was cheaper than Priorslee (£273,781). Overall sold prices in Telford over the last year were similar to the previous year and 7% up on the 2015 level of £156,360, says Rightmove. Interested to know the current value your property? Try our free online property valuation tool. 1.Great Hay. Great Hay is a modern residential area on the extreme southern fringe of Telford, close to the Telford County Hotel and Golf Course, which provides excellent leisure facilities including a golf course, swimming pool, fitness room, and restaurants. It is a little over four miles south of the wide range of shopping and recreational facilities at the Telford town centre, together with the railway station and connection to the M54. 2.Oakengates is a town in the borough of Telford and Wrekin and ceremonial county of Shropshire, England, and now forms part of the new town of Telford. The parish’s population was recorded as 8,517 in the 2001 census. Nearby are the town council’s headquarters and the United Reformed/Methodist church. The town has a growing reputation as offering an “all year real ale festival”. It has three pubs in the CAMRA guide (2015) more than many towns very much greater in size. 3.Wellington Road. This area of Muxton is well established with an eclectic mix of character and modern properties on the fringe of Lilleshall village. If you are unsure what is the best option for you, contact our teams today. Call us on 0800 862 0870 or book your free valuation today.